These symptoms can be quite irritating, and can make it hard to be comfortable at work or school. The reason that these symptoms are all so similar is because allergies are usually caused by the same thing – at least on a biological level. When you are allergic to something, regardless of what it is, your body causes a release of histamine. Excessive amounts of histamine in the blood are what causes these symptoms. That’s why the most popular drugs available over-the-counter are known as antihistamines. They prevent the body from producing histamine and thus prevent the symptoms from emerging. Unfortunately, antihistamines are known for causing a number of unpleasant side effects. Not only do the majority of over-the-counter antihistamines tend to knock you out, but they can be quite dangerous for your mental health in the long-term. 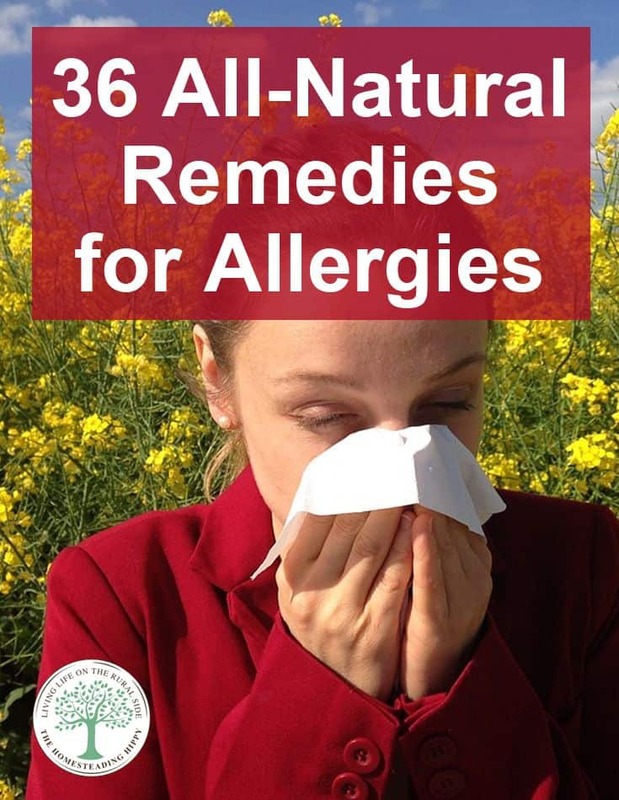 Fortunately, there are a number of natural remedies that you can use to help yourself manage your allergies – seasonal or otherwise. Check out this list of the best and most effective home remedies for allergies. Apple cider vinegar keeps popping up in all of our lists because it’s truly one of the most versatile medicinal ingredients you can find. Apple cider vinegar is great for healing everything from warts to infections to allergies. It’s great for helping to manage symptoms of allergies because it helps to reduce the amount of mucous that your body produces. It also helps to clean the lymph nodes and the entire lymphatic system, which is important for reducing the symptoms of allergies. The easiest way to do it is to just take a tablespoon of apple cider vinegar by mouth. However, not everyone can stomach the flavor. Adding it to hot water with honey will help dilute the flavor and the honey will provide some antibacterial benefits. Apple cider vinegar can be found at the grocery store or any natural food store. It’s best to get the kind with the live mother in it – if the mother is removed, then so are many of the nutritional benefits. Exercise is about as natural as it gets, and you can certainly do exercise at home, which makes it one of the best natural home remedies. But how does exercise help with allergies? Well, studies have been done that have revealed that moderate to intense exercise for about half an hour actually causes the body to release anti-inflammatory compounds. These can reduce inflammation in the sinuses and the respiratory tract which can make it easier to breathe during an allergic reaction. It might be hard to get up the gusto to go exercise when you’re having an allergic reaction, but it’ll be worth it. It’s best to do your exercise away from the source of allergies. If you’re allergic to pollen, exercise indoors, if you’re allergic to pet hair, exercise outside. Honey can help to manage allergies in a very interesting way, if you’re allergic to pollen. Because bees make honey from pollen then you can gradually expose yourself to the substance of your allergy by taking small amounts of honey. This won’t necessarily cure your allergies, but overtime you can build up a resistance to the pollen that will make you more-or-less immune to the allergies. See more natural uses for honey here. For this to work you’ll want to get local honey that’s made from the pollen in your local area. One of the best ways to clear out your nasal passageways is to use a neti pot, a special pot that’s designed to provide an easy way to pour water into your nostrils. The best substance to put in a neti pot is a saline rinse, which can be bought from the pharmacy. The neti pot itself can likely be purchased there as well, or from a natural health food & supplement store. If you don’t have access to a saline rinse, then you can make your own saline rinse by mixing some Himalayan salt into some warm water. Try to use distilled water whenever possible. Bee pollen can help you manage your allergies in a similar way as honey. Because bee pollen contains some of the same compounds that are responsible for your allergic reaction, it can be useful in helping you build up a tolerance to these compounds. That allows your immune system to build its strength up. Bee pollen can be added to salads or mixed into smoothies, or taken straight. You can find it at many health food stores or online. Some organic bee farms will sell some of the pollen as well. If you don’t want to be sticking a neti pot up your nose, then there are other ways that you can directly clear out your sinuses and nasal passageways. Nasal sprays containing saline solution can be made by simply filling a spray bottle (one of the small ones, the size of a perfume spritzer – not a Windex bottle!) with a saline solution. You can also make your own saline solution with other antibacterial ingredients in them. Including a bit of basil or another herb can help to calm your sinuses. Probiotics are great for a number of things. They’re instrumental in helping maintain your digestion, and they’re also important for helping you restore balance to your immune system. Studies have also proven that they’re useful for relieving allergic symptoms. In certain situations, allergic reactions can be more severe in people who don’t have healthy immune systems. This is because the immune system is in charge of regulating the way that your body responds to external things like dust or pollen. By helping your body regulate the levels of its internal bacteria, probiotics can help to nourish your immune system and ensure that it functions properly. Probiotics can be found at pharmacies and at health food stores. Nettle can be found all over the place, particularly in the pacific Northwest, where it can be found growing wild pretty much everywhere. Nettle can also be found at grocery stores in the form of teas, and it can be bought in loose form at many health food stores. Nettle leaf is one of nature’s best antihistamines. This means that it prevents your body from making the compounds that are responsible for most of the allergic symptoms that we feel. You can also find capsules of powdered nettle leaf. Taking a few of these will ensure that your body has a minimal histamine reaction, and it won’t likely knock you out as hard as an over-the-counter antihistamine would. Quercetin is the name of a compound that’s known to have powerful anti-inflammatory and antioxidant benefits. It’s a component of many natural foods, but you can also find the stuff available in supplement form at many health food stores or in certain pharmacies. Quercetin is useful for fighting allergies because it also helps to fight the release of histamine. Studies have been done on rats that showed that quercetin is useful for helping to fight respiratory problems related to histamine release in rats. Onions are a very powerful medicinal food that can be useful for treating all sorts of problems. One of the reasons that they are useful for helping to treat allergies is because they contain a significant amount of quercetin. Onions are also great for helping to clear out the nasal passageways. You can find onions in any grocery store, but the best varieties will be organic and they will come from natural food stores. 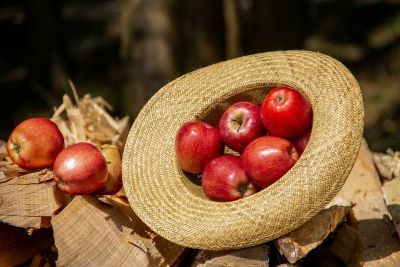 Apples contain a number of nutrients that can be beneficial for helping people manage the symptoms of their allergies. First off, they contain quercetin. As we have mentioned above, quercetin is a powerful antioxidant and an antihistamine that can be immensely useful in helping people fight off the symptoms of allergies. Furthermore, apples contain vitamin C and several other nutrients that are known to boost the immune system. Having a strong immune system can be useful in preventing allergic reactions because your body will be better primed to deal with the perceived invaders, such as pollen. Pineapples are a great fruit for helping to manage symptoms of allergies because they contain a compound known as bromelain. Bromelain can also be purchased in supplement form from lots of health food stores. Bromelain has been studied and is proven to be useful for helping to fight off symptoms of respiratory distress. It can also be useful for helping to ward off the inflammatory aspects of inflammation. Vitamin C, one of the most well-rounded and important nutrients that we consume on a regular basis, is actually an antihistamine. It might not be as potent as some over-the-counter varieties, but it’s certainly a lot better for you and can be found in a huge number of sources. Vitamin C has been known to help treat symptoms like a stuffy nose or itchy eyes without causing any side effects. It’s recommended to take it in supplement form to help you treat allergies because you’ll need to take at least 2 grams of it to experience any noticeable effect. As far as fruits go, oranges are one of the best for helping to fight allergies. There are two reasons for this. First off, oranges are high in vitamin C. As we’ve mentioned, vitamin C is important for maintaining your immune system and it can also function as an antihistamine on its own. Second, oranges are filled with water. They can be a good source of hydration. Many people with allergies can find relief from their stuffy nose or other respiratory symptoms just by making staying hydrated. Butterbur is a powerful plant extract. It’s made from a shrub that’s found in parts of Asia and Europe, as well as some smaller parts of the United States. 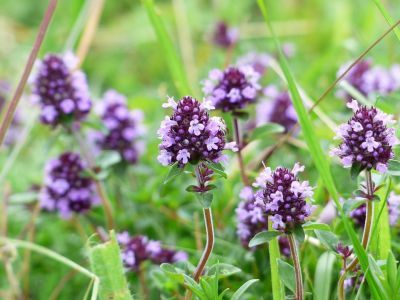 The most common uses of this extract are to treat hay fever and migraines. A bit of research into the topic reveals that butterbur has been linked to having antihistamine effects. It has tested better than placebo in regards to helping manage symptoms of allergies, and actually tested better than some over-the-counter meds that are used to treat allergies. Butterbur can be a bit tricky to find but many health food stores carry some. If you can’t find it here you can order some to your door thanks to the Internet. Watercress is a cruciferous vegetable. It’s also regarded for being one of the healthiest foods on the planet. As far as foods that are readily available go, watercress will pack more of a nutritional punch than many alternatives. More than that, studies have shown the watercress is actually quite effective as an antihistamine. Eating watercress can prevent your cells from releasing the substance and thereby help you manage symptoms of your allergies. This substance is helpful for getting rid of histamine. Without this substance, your body would have histamine reactions that are significantly longer and more powerful than they already are! You can make pea sprouts yourself by simply soaking some peas in water, draining the water, and letting them sit for a few days. Some health food stores and grocery stores also stock fresh pea sprouts. Moringa has become popular since it gained the reputation for being one of the world’s best superfoods, and this is justified. Moringa provides you with a huge number of nutrients and amino acids. In fact, it’s one of the foods that used to be prescribed to help treat general malnutrition. Studies have also revealed that moringa functions very well as an antihistamine. It actually helps to prevent the body from releasing more than 70% of its histamines, and this makes it ideal for people suffering from allergies. Loose leaf moringa can be found at health food stores. Moringa tea is available in many natural health food stores and can be found at some grocery stores. Holy basil, also known as tulsi, is one of the most popular herbs in Ayurvedic medicine. It’s used for treating a wide range of ailments that can affect a person both physically and mentally. It functions as an adaptogen and can help people adapt to the stress of daily life. It also function as an antihistamine and can be useful for helping people manage symptoms of an allergy. You can find holy basil tea at the grocery store or at a health food store. Thyme is one of the best remedies for allergies simply because it’s easy to grow and can be found, at least dried, at pretty much any grocery store. It’s filled with nutrients that can be useful for helping to boost your immune system, and it has also been shown to help stabilize the body’s mast cells which are known to release histamine. Many of us have used chamomile in sleepy time tea, whether or not we were aware of it. But the herb chamomile has a lot of other benefits aside from just helping us relax in the evening. Studies have revealed that chamomile can be useful for helping to prevent the release of histamine. It works in a dose-dependent manner, so if your allergies are very severe you can take a larger dose of chamomile. Chamomile tea can be found at pretty much any grocery store but if you want the loose leaf stuff to make your own tea, you’ll have to search at local health food stores. Peppermint is most traditionally associated with helping people manage digestive issues, but it can also be incredibly useful for helping people manage their allergies. 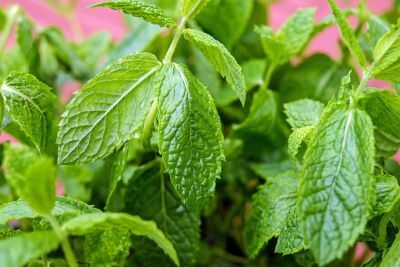 This is because some of the active compounds in peppermint, known as flavonoids, have also been shown to prevent the release of histamine from the body’s mast cells. It is known to be very useful for helping people manage symptoms of allergic rhinitis. Peppermint can be found in many places, from grocery stores to health food stores. Naturally, organic peppermint will be better for you and will provide stronger benefits. Nigella sativa, also known as black cumin and kalonji, is one of the most impressive natural medicines on the face of the planet. It’s a great source of antioxidants and has a number of studies that back up its ability to help fight cancer and improve the health of our skin and organs. Furthermore, it helps to act as an antihistamine. This can help to prevent you from experiencing symptoms of allergies. If you’re using the fresh seeds, you’ll need to grind them up before using them. Just like flax seeds, they won’t be digested unless they are processed first, whether that’s by chewing them or by putting them in a spice grinder. You can also get the oil of black cumin seeds from organic stores, but it’s often quite expensive. Turmeric, and the main active compound found inside it known as curcumin, is known to be a highly effective anti-inflammatory agent. You can find turmeric in health food stores, and organic food stores often sell the fresh root. Curcumin extracts are also available at pharmacies and natural health food stores. You can experience some of the benefit of turmeric by cooking with it on a regular basis. However, if you need acute results, you might want to try taking it on its own by mixing a teaspoon of it with a short of water and chugging it back. Turmeric has been proven to be as effective as some popular over-the-counter medication in terms of fighting inflammation and symptoms of allergies. Reishi mushrooms, which grow in warmer regions like parts of Asia and the southern Pacific regions, is known for being one of the best medicinal fungi on the planet. There are a number of useful applications for this fungus, including helping to reduce symptoms of allergies. Reishi mushroom supplements can be purchased from natural health food stores and from pharmacies. Make sure to do so me background research into the supplement that you’re choosing because reishi mushroom supplements are notorious for being faked. There are a ton of different fruits that contain flavonoids, which are active nutritional compounds that often act as anti-inflammatories. Foods like blueberries, raspberries, cauliflower, oranges, beans and onions are all rich in flavonoids. Flavonoids can also help the body improve the function of vitamin C, which serves to further boost the immune system and prevent the excessive release of histamine in the body. Some flavonoids, like quercetin, can be purchased in isolated form. Cinnamon and licorice are not only delicious, but they’re known for helping to enhance a person’s breathing. This can make it easier to manage a seasonal allergy. Both cinnamon and licorice can be found in whole form (pieces of bark for cinnamon, and sticks of licorice root) or you can get them pre-made into tea. If you want to make your own tea you can simply add a bit of each into a pot of boiling water and let it simmer for a few minutes. Look at your grocery store for pre-made tea bags. 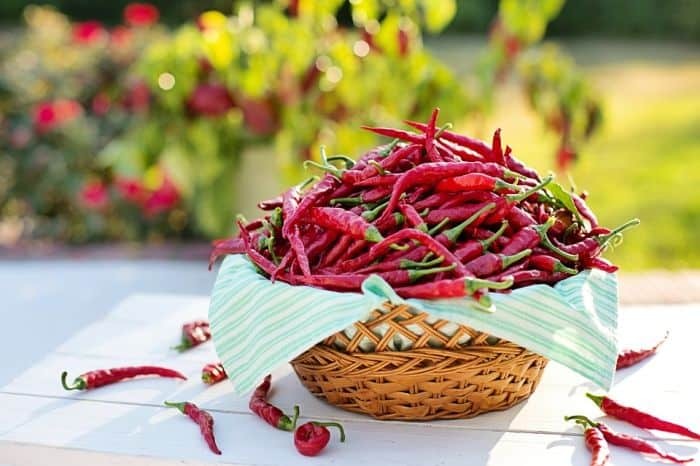 Chili peppers are known for improving respiratory function, and you can certainly notice this after eating something spicy: it’s incredibly easy to take a big, deep, satisfying breath. However, chili peppers are likely best to use when you have a stuffy nose because they’ll clear out your sinuses. If your nose is already running, then eating chili peppers might make it run more (however they will still help to clear up your nasal passageways so you can breathe easier). There are tons of different kinds of chili peppers, ranging from the somewhat spicy jalapenos to the incredibly hot ghost chilis. Peppers like jalapenos, ,habaneros and Thai chili peppers can often be found at grocery stores. Hot sauce will also help to clear up the sinuses, but try to avoid mass-produced hot sauces like Frank’s. Fish, like sardines and salmon, are particularly rich sources of omega-3 fatty acids. Omega-3 fatty acids have been proven to act as anti-inflammatory compounds and can be useful for helping to fight off symptoms of an allergy. You’ll be able to find fish at any grocery store. The best kind will not be farmed fish and will be wild-caught. Sometimes fish is best purchased from a local fish market. Horseradish is known for being extremely pungent and hot in a different way than chili peppers. Horseradish, which is used to make most of the wasabi that we eat here in the West, is notorious for clearing out the sinuses incredibly quickly and incredibly effectively. Horseradish can sometimes be found in its root form in grocery stores, and it can be eaten raw or cooked with. Wasabi root is different than horseradish, though most wasabi in the west is actually made from horseradish. This is all a bit confusing, but nonetheless know that they are different roots. Wasabi functions in a very similar way to horseradish, and many people would have a hard time telling the difference from flavor alone. The main difference is that wasabi is quite a bit stronger. Wasabi root isn’t as easy to find but some grocery stores carry it. There are several essential oils which are most valuable in regards to treating sinus infections and symptoms that affect the respiratory tract. One of the most important is lavender oil, which is quite common and can sometimes be found in pharmacies. If not there, look in health food stores or stores where aromatherapy products are sold. You can mix lavender oil into a carrier oil and apply it directly to your face, below your nose. Breathing it in will help to relax your airways and provide relief from your symptoms. Peppermint oil is another popular essential oil that has a number of medicinal benefits. Just like lavender oil, it can be mixed with a carrier oil and applied directly to the face to relieve symptoms of allergies. You can sometimes find peppermint oil in pharmacies, but it’s usually easier to get at health food stores. The third most powerful essential oil for helping to manage symptoms of allergies is eucalyptus oil. If you’ve ever taken a whiff of an open bottle of the stuff, then you’ve probably felt an immediate cleansing of your sinuses – even if you’re not sick! Eucalyptus oil can be used in much the same way as the previous essential oils. It also works very well in an essential oil diffuser, which distributes the oil in the air of your house. Eucalyptus oil can be found at pharmacies and health food stores. You’d be surprised how many people are chronically dehydrated. Dehydration can cause a number of symptoms on its own, like confusion, lethargy and mood swings. But it can also have a negative influence on your allergic reactions. Make sure that you drink at least 8 cups of water on a daily basis, and drink much more if it’s hot out or if you’re exercising. Staying hydrated is of utmost importance if you want to stay healthy. Acupuncture might be difficult to get done in the home, but it’s certainly one of the best natural remedies for healing a huge number of ailments. Acupuncture has been used to treat anything from clinical depression to chronic illness. Recent studies have also revealed that acupuncture can be useful for helping to manage symptoms of allergies. Acupuncture involves interacting with the body’s energy meridians and stimulating, preventing, or redirecting energy. This can have a positive influence on our hormones and our histamine production. Acupuncture can often be found at natural or holistic health centers. It can be expensive but many places offer community acupuncture a few times a month for a fraction of the price. Immunotherapy is another method of treating allergies that works in the same way that taking local honey does. It allows your body to slowly become accustomed to the allergens in the environment so you can build up a natural resistance to them. Immunotherapy is offered at many natural health clinics. The HEPA systems themselves are man-made, but they can certainlyl have a positive impact on the natural environment in your house. It’s particularly important to get a HEPA filter for your vacuum, because it will help to filter out any allergens that might be in your carpets instead of circulating them back into the air. Seasonal allergies and hay fever can both be stressful and uncomfortable experiences if you don’t have the proper know-how on how to deal with them. Fortunately, there are healthier alternatives than using over-the-counter medication, and many of these remedies you probably already have at home. Hopefully this list has been helpful for you, and we wish you luck in managing your allergic symptoms! People who are allergic to ragweed should avoid chamomile as they are closely related. A cup of chamomile tea put me in the hospital with a severe allergic reaction fighting for my life.